This month sees the second part of Strauss and Dalva’s take on Oliver Twist by Charles Dickens and what I feared would happen, has happened. This issue, as a stand-alone comic, is really not that good because it is not meant to be read as a stand-alone comic. I had feared that the series would be one that needs to be read in trade and with this issue, my fears have materialized. Going through this issue was a slog and brought nothing new to the table. 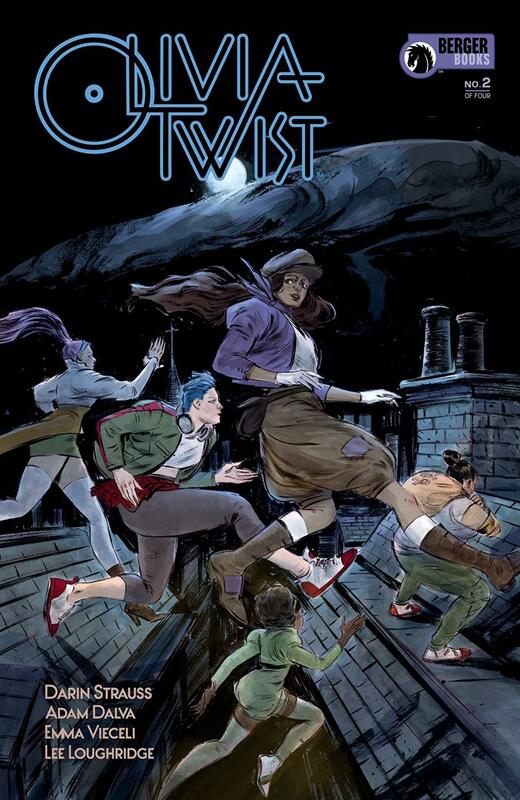 And that’s the big issue with a series that is using another as a springboard like Olivia Twist is doing from Oliver Twist: beyond the change in gender and the addition of a non-binary character, there really isn’t anything new that is being put forth in this comic. All characters are so interchangeable that even with a “call-out” page (when introducing the group The Esthers), by the next page, you could easily confuse which one was supposed to which - with the exception of the Artful Dodger who at least got some characterization in the first issue. This even goes the same with the main character of Olivia. After two issues, she is pretty much reduced to two things: orphan, doesn’t want to steal. I get that these are part of the Oliver Twist mythos, but in this comic, they are presented with barely any “meat” to them to make me care. Vieceli and Loughridge continue to give us what they gave us with issue number one. Viecili gets to have fun with The Esthers (at least the designs are nifty). However, there were a few times throughout the issue where I found the character work a little stiff. At one point someone gets stabbed and they stand like nothing happened. Having said that, there is some interesting panel composition that I enjoyed that I don’t think I’ve seen before. So kudos on that front. In all, this was an issue that is too easily forgettable that will probably only really work in trade. It’s too bad, because this is probably the first real issue that I find was a real miss in the Berger Books line.